I am finally going to learn Korean. Yes, the time has come in my life where I need to make up for growing up in the sticks with no Koreans around. I was never given the opportunity to learn how to speak Korean growing up in New Hampshire (Cow Hampshire as I recall). Now I’m living in Seoul and it is my personal goal to learn how to speak Korean. I don’t know how fluent I will become, but I want to be able to live unassisted in Korea. That is, without a translator (including Google Translate!). I am making use of a few language learning resources, but I knew having a native-speaking tutor was going to be critical. This section is for sharing my tutoring process. I have a native Korean speaking online tutor and I am going to record all the lessons I ever have with them. With each lesson I will post the chapter materials in PDF format so you can download them and follow along. Or you can sit by silently and watch the train wreck happen before your eyes. That’s just light-heartedness. I’m confident in my focus and efforts and I believe that in due time I will be speaking Korean at a level that I can can be proud of. As will my fellow Koreans who lament over the fact that I can’t speak in the first place. 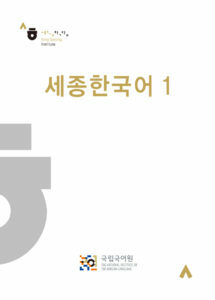 The book I’m currently using is Sejong Hangugeo 1 and each lesson is 1 hour long. Lesson 7: Appointments, Shall We?, How About…?